In the Teen MakerSpace at The Public Library of Mount Vernon and Knox County (OH), we’re getting ready for National Poetry Month (April). We have a variety of activities that we will be hosting all month long in our makerspace using our materials to get teens thinking about and creating poetry. Some of our ideas include making our own chalkboards for teens to write poetry on, turning poetry into digital art and turning them into buttons, and creating visual poetry using methods like Black Out Poetry or Post It note art. This will be our second year doing poetry in our Teen MakerSpace, so we tried to build on what worked for us successfully last year and provide even more options with more material choices. If you have some other creative suggestions, we would love to hear from you. It’s never too late to add some fun, new ideas. I love poetry. In fact, I still have all my old high school notebooks full of my very bad angst filled poetry. Occasionally, I still even add a new poem. And since April is National Poetry Month, I wanted to find a way to combine some poetry activities with the new MakerSpace at The Public Library of Mount Vernon and Knox County (Ohio). So I took some of my favorite poetry month activities and makerized them (yes, that’s probably not really a word). Create your own magnetic poetry kits using recycled materials. By storing your magnets inside your old Altoid (or other recycled) tin, you can also use the inside cover as a place to create your own mini-poems. Cut out your favorite words and glue them onto the magnet sheets. Cut the magnets to size. Tada – you have your own magnetic poetry kit. The tin works really well to hold them and you can use the tin as canvas to make your own poems on the go. Create or print an image of your choice. Creating an original image using a variety of photo apps at the iPad bar really ups the MakerSpace factor here. Make sure it fits onto the front of your tin. Cut to size. Glue. Cover with Mod Podge. Allow it to dry completely. 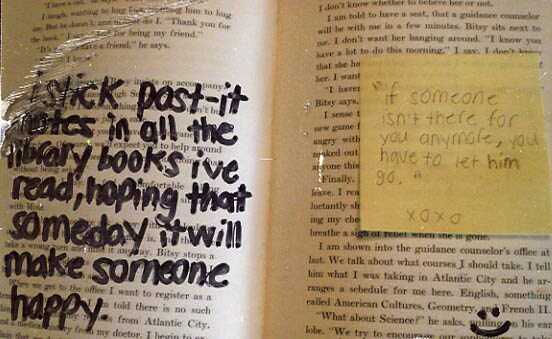 Tear out a page in a discarded book or magazine. Have teens use a Sharpie pen to black out words. A majority of the page will be blacked out. The remaining words make up your poem. Give teens a chalkboard (or a sidewalk) and chalk to write a poem. They can add flourishes and doodles if they would like. (Please note: the clean lid to a discarded pizza box also works well for chalk.) You can also make your own chalkboards using old picture frames or blank canvases, chalkboard paint and embellishments. Now, to Makerize these. Take a photo of the poem on a chalkboard/sidewalk or of the page of black out poetry. You can use your photo apps to add filters, effects and more. Size and print them. Then, we are using our button makers to make the personalized poems into buttons. Make a “pocket” – aka a cell phone carrier – out of Duct Tape. This then becomes a pocket that you can carry your cell phone and a poem in. Those are just a few of my ideas. What will you be doing this month to celebrate poetry? When you think outside the box . . .
dance with the Boogie Man. April is National Poetry Month and this book of poetry magically appeared at my door. I quickly read through it and gave it to the Tween to read and we both give it a thumbs up. These are fun poems, much in the vein of Shel Silverstein. In fact, the cover and drawings inside are very reminiscent of Shel Silverstein. There is a fun poem inside called My Pet Robot (page 18) which you could use to introduce a Robot Makerspace craft for either this year’s science themed summer reading program or even Earth Day. Simply gather together a wide variety of recyclables and have tweens create a robot. Or have a tech day where they take apart old, discarded technology and use the innards and pieces to make a robot. Not functional robots, just robot looking crafts. There are some fun poems about songs and music, including Stuck in My Head (page 24), Garage Band (page 26), and Shower Songs (page 28) that would be fun to include in a music themed program. There is a section of “scary” themed poems that would be great for Halloween time. There is a great poem called A Lump of Clay that is all about how you can take this lump of clay and make it in to something. It would be a fun way to just have a Makerspace/Craft day using clay. You can buy air dry clay which eliminates the need for baking. The poems are quick reads, fast and fun. The Tween laughed a lot while reading the book. She has a copy of Where the Sidewalk Ends which she keeps by her bed and I think this book is joining it. Definitely recommended. Outside the Box: A Book of Poems. Poems by Karma Wilson. Drawings by Diane Goode. Margaret K. McElderry Books, 2014. Ages 7-10. ISBN: 978-1-4169-8005-6. April is epically awesome for many things, but one of my favorites is the fact that it is National Poetry Month. I have journals full of my probably horrific and definitely embarrassing poems that I began writing in the early teen years but continue to write today. But there is a quick, easy and – most importantly – fun way you can do poetry using books! Grab a stack of books and use the titles on the spine to write some Book Spine Poetry. In collaboration with The Library as Incubator Project, we’ll be running a contest on Instagram and Twitter for 10 days starting April 21. We want to see your best Book Spine Poems! But you have to use #bkspinepoem to be in the running for the fabulous book prize(s)! For librarians: This is an easy program that you can throw together. Just get your teens to gather in the library, explain the idea, and let them loose! Get them to collaborate with one another in making their poems. It’s easy to get stuck on how you think your poem should go, rather than working with the titles you have. Talk about the parts of a sentence you might need (books that act as verbs are crucial!). Have them Instagram or tweet their poems, then tell them to mix and match their poems! What’s the longest poem they can create? The most complete sentence? The most haunting/beautiful/lyrical/etc? Let them go wild! And of course, you can always make it a drop-in passive program with just a simple sign for explanation. Have fun and create some awesome poetry! This contest announcement was written by the awesome people at The Library as Incubator Project, which I highly recommend you check out. Also, if you are interested, I did post some of my poems here in a mini-collection called Life’s Bilest Moments; this is a collection of poems I wrote about my experience with a pregnancy disease called Hyperemesis Gravidarum. Whether it’s in conjunction with the winter holidays, Mother’s Day, or just for something fun, these simple activities are inexpensive, easy to put together, and provide each teen with a nice giftable item to take home. There are innumerable variations on the in-a-jar theme, but the very simplest is a snack mix. Provide jars or ask teens to bring their own – a clean spaghetti sauce jar is a good option. Having plastic gloves and a warning about food allergies and sensitivities is a must. The set up is simple: a table with bowls of the various snack options and scoops. Teens mix and match and layer their preferred snack – sweet, savory, or a mix! I just did this craft the hard way – with persnickety adults – but doing it with teens would be lots of fun too. Ten bars of Ivory soap were $5 at Target this week, and you probably have the other supplies already: stickers, fabric scraps, scrapbook paper, and Mod Podge. Shape your soap with a table knife if you want – Ivory is very soft and easy to carve. Then cover one side of your soap with a layer of Mod Podge, arrange your decoration, and then another layer of Mod Podge. You can get fancy and use dried flowers or herbs, or dip the decorated side in melted paraffin, or you could make fancy paper wraps for the soap, or you could skip that and just have fun. Broaden the appeal by including decorations like local favorite sports teams, trendy motifs (mustaches, foxes, chevrons), or seasonal items (snowmen in the winter, hearts around Valentine’s, beachy stuff in the summer). This is an approachable poetry technique that encourages the writer to pull small but significant images, senses, emotions, and events from their past, weaving them into a poem with a simple structure. This is a technique that enables even those who have never written a poem before to create a lovely piece, and it very regularly leads to beautiful, tear-jerking results, making it an ideal gift for family, close friends, and loved ones. First, read the George Ella Lyon poem that originated the exercise, and share several teen examples as well. Scholastic has a nice lesson plan. For the super creative, encourage teens to illustrate their poems. You could also adapt this into a word cloud, to different effect. 1. Instead of the heat sealable tea bags, buy the fold-over style, or layer a few squares of cheese cloth and tie with a pretty ribbon. 2. Include a healthy scoop of epsom salt. 3. Shop your local bulk store for the herbs. 4. Purchase a few bottles of essential oil to scent the salt. I little goes a looong way. On Sunday, March 10th, author K. A. Holt will be visiting my library as part of our Texas Sweethearts and Scoundrels visit. If you live in or around the Grand Prairie area, please consider stopping by and supporting libraries and authors. Today, author K. A. Holt shares a guest post with us to talk about the one thing that seems to terrify tweens and teens. Sometimes I’m afraid that among pre-teen and teen readers there is One Word To Terrify Them All. Or maybe worse: One Word No One Thinks About Until They See It And Then They’re All OH MAN I Don’t Want To Read THAT. Wait, wait – don’t run away. I’m here to convince you that poetry is not boring. It’s not difficult to read. It’s not snobby or foofy or lame or whatever. I mean, it can be… but it doesn’t have to be. I should probably come clean and tell you that I write books in verse. Not all of my books, but some of them. One of my books is about zombies and chupocabras and humans all trying to go to middle school together without eating each other. The whole book is written in haiku. Five syllables, seven syllables, five syllables. Three-lined poems tell the whole story – brain-eating, fights, crushes (both of the romantic kind and the bone-crunching kid) and more. It’s poetry, but it might not be the first thing that pops to mind when you have that “aaargh, a book in poetry, what? !” reaction. A zombie novel written in Haiku? Yes please! Another book I’ve written (that is tentatively scheduled for release in 2014) is about a bully who rips pages out of library books so he can scratch out words and make messages. You don’t usually think of defacing school property as poetry, and yet… That’s the cool thing about poems. They can be anything you want. It’s just a way to focus words on the most important details of a story. You know those bouillon cubes you drop in hot water to make chicken broth? The cube dissolves in the water, leaving trails of salty silt that you stir to make a warm, filling soup. A poem is like a bouillon cube – all the salty goodness of a story is compacted into a tiny space. The hot water is like your brain. Those compacted words seep out of the poem, filling your brain and spreading out into worlds and characters that the author trusts you to help create. Weird analogy? Sure. But kind of true. Reading a novel that’s written in verse gives you all the punch and excitement of a prose book (sometimes even more), but with fewer words, fewer pages, and arguably more imagination. You become an important part of the telling of the story because you take those few words and give them life. So please, for the sake of zombies and chupocabras and sonnets and free verse, and torn out pages everywhere, don’t freeze up when you see the word “poetry.” Don’t feel harrumphy when you see “novel in verse” on the cover of a book. Poetry is beautiful. It’s ugly. It’s exhausting. It’s freeing. It’s simple. It’s complex. It can hold the whole world in just a handful of words. Book Inspired by a Poem or Poetry . . .
Coming in 2013, and so very brilliant. Great voice. Yes, I’m biased, but I want you to be biased, too. Poetry can be anything you want it to be. Not everything can say that. Not everything can live up to that. So give it a whirl and see what you think. Sharon Creech, Ron Koertge, Ellen Hopkins, Lisa Schroeder, Sarah Tregay, Sonya Sones, Virginia Euwer Wolff, Linda Oatman High, Caroline Rose, Walter Dean Myers and more, more, more. All of these authors write novels in verse. And so do I. Why not pick up a book and give it a try? K. A. Holt is the author of Brains for Lunch and Mike Stellar: Nerves of Steel? You can find out more about her, and her books, by visiting her webpage. It is set up like a comic book and epically cool.